The REG DALI Module offers the possibility to control up to 64 Dali addresses or 16 Dali groups. The integrated dimming capabilities are similar to those of the Smart REG CPU. 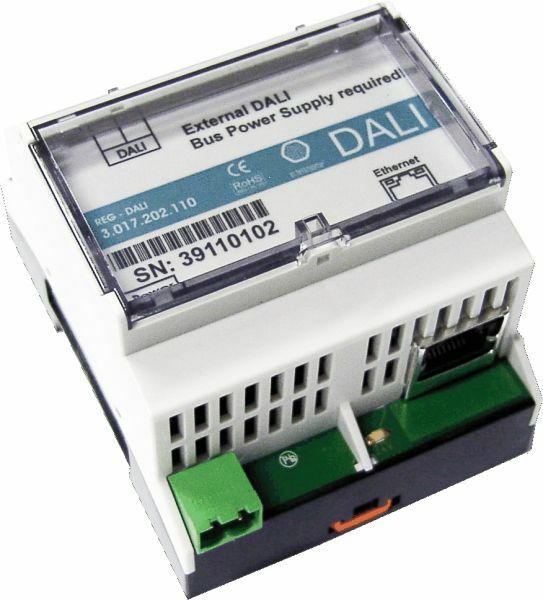 The REG DALI Module can be easily integrated into an Ethernet network. Therefore a smooth integration to the Intellihome system.